German Filmmaker Thomas Draschan presents a special programme of new experimental cinema from Germany including work by Draschan, Ulrich Wiesner, Thomas Feldmann, Kerstin Cmelka, Goh Harada and Nino Pezzella. Thomas Draschan was a student of Peter Kubelka at the Stadelschule in Frankfurt and co-curated the programme ‘In Kubelka’s Shadow’ at the 2001 London Film Festival, which included earlier works by several of the filmmakers that are featured tonight. He works independently to organise the Frankfurt Filmschau, and the Independent Film Show in Naples. Philip Hoffman has long been recognized as Canada’s preeminent diary filmmaker. For over twenty years he has been straining history through personal fictions, using the material of his life to deconstruct the Griersonian legacy of documentary practice. As an artist working directly upon the material of film, Hoffman is keenly attuned to the shape of seeing, foregrounding the image and its creation as well as the manufacture of point-of-view. Hoffman’s films are deeply troubled in their remembrances; he dusts off the family archive to examine how estrangement fuels a fascination with the familiar surroundings of home. Please Note: Opening Series 2 consists of 12 segments, each segment in its own hand- painted film canister. Through the visual references on the canisters, the audience, prior to the screening, orders the flow of the film. Swedish avant-garde filmmaker, Gunvor Nelson was one of the central figures in the avant-garde film movement that emerged in the Bay Area in the 60s. Tonight she presents a selection of her work including the classic Red Shift as well as her recent videotapes. Red Shift is a film in black and white about relationships, generations and time. The subtitle is ‘All Expectation’. The movement of a luminous body toward and away from us can be found in its spectral lines. A shift toward red occurs with anybody that is self-luminous and receding. There is uncertainty about how much observable material exists. Alex MacKenzie works as a media curator, filmmaker and performer in the film and video fields. His works are simultaneously accessible and abstract, working from a model of both expanded cinema and performance with the serendipity of the hand-processed and degraded image integral to the work. Alex is the primary programmer and coordinator of The Blinding Light!! Cinema, an alternative and underground screening and performance space devoted to presenting cutting edge, underground, and obscure film and video six nights a week in Vancouver, Canada. He is also the Festival Director for the Vancouver Underground Film Festival. This is his first European tour. First-time feature film maker Azazel Jacobs skillfully interweaves four strands of New York life. The city itself is a central character, portrayed in delicate black and white imagery. A young black man who observes and acts as our eyes through his voice-over represents another. The third, forming the central story, involves a young actress, disenchanted by an audition, now struggling to find another way to be herself, in contrast to her flat mate still dreaming of being a star. And fourth are the auditions of a pretentious young director, actually completely unclear about what he seeks, who takes his actresses through the ordeal of convincingly playing their death. While he works with some dangerously familiar motifs of the American indie cinema (agonising young actresses, the making of films about the making of movies), Jacobs gives fresh depth to this territory, always offering a completely convincing and sympathetic portrait of his young New Yorkers and their scene, always keeping us involved. He gets the best out of his actors, the auditions in particular make fascinating performance pieces within the film itself. A film with brains. Premiered at Rotterdam Film Festival 2003, and selected for screening in the Hong Kong Film Festival. A fresh and absorbing portrait of New York, its streets and views is folded intelligently in with a story of a young New York actress struggling to escape the shallowness of the acting world, heightened by a subtle sub-theme of almost Warholian filmed auditions. 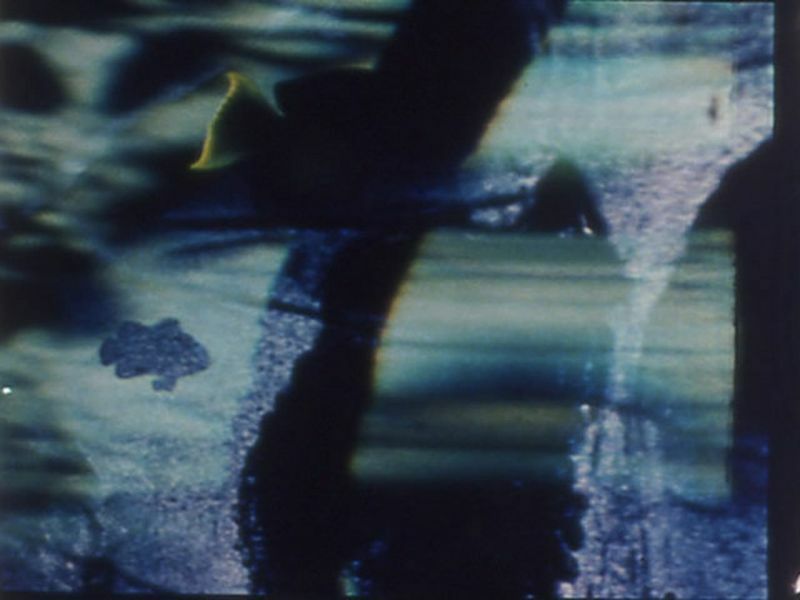 LUX is pleased to present the first UK show by Courtney Hoskins and Mary Beth Reed, two young American filmmakers whose films combine photographed footage with hand-painted film and manipulation of the optical printer. 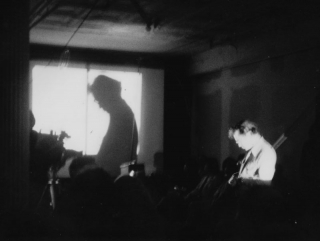 Both studied with Stan Brakhage and Phil Solomon at the University of Colorado in Boulder, and their works were included in the recent Brakhage fundraiser and tribute at The Other Cinema. 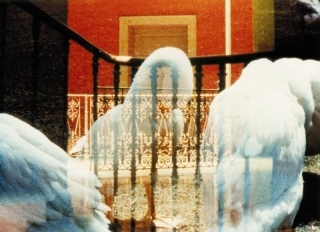 Courtney Hoskins uses various optics techniques to create her film worlds. Using the properties of the light waves themselves (twisting and bending certain wavelengths), she develops an otherworldly palette that shows the complexities and surprises found in the seemingly mundane objects of our daily lives. Mary Beth Reed mixes animation and abstraction into a kaleidoscopic flow of hand painted and optically printed film. She creates films of exquisite colour and imagery that dance across the screen with a mesmerising and unique rhythmic quality. The programme will be in two discreet parts, with a short interval, and both Courtney and Mary Beth will be here to discuss their work. As a founder member of the Lodz Film Academy’s radical Workshop of Film Form in the early 70s, Wojciech Bruszewski’s multimedia experiments included YYAA, a 3-minute long primal scream in which changes in light exposure modulate the soundtrack. 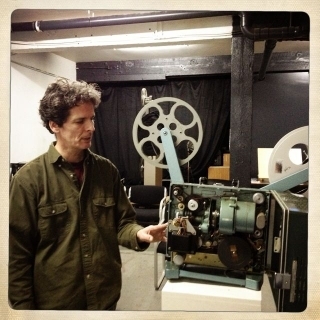 Other films, like Tea-Spoon and Match-Box, also challenged the viewer by manipulating expectations of synchronous sound and image, and his early video work examines the immediate relationship between camera, monitor and viewer made possible by instant playback or live feed technology. At the LUX Salon, Bruszewski will offer a selection of works by himself and his students, from his earliest days to the present. The final programme contents to be decided by the audience on the night. Presented in association with Lumen and Evolution 03, Leeds. 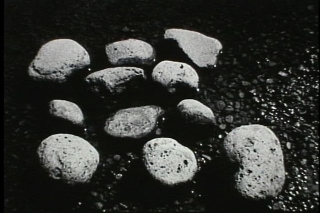 Legendary Japanese avant-garde film and video artist Takahiko Iimura has rigorously explored structural, material and theoretical properties of film, video and new media for over 40 years. At the Lux Salon he will appear in person to present two of his vintage live film performance of the 1970s: Circle and Square (for 16mm film loop and hole punch) and White Calligraphy (for mobile Super-8 projector). The Swiss artist Hannes Schüpbach creates silent colour films that evoke an experience similar to poetry. He composes and varies images of places, people, and gestures, deriving from a specific living context in each film. The subtlety and distance of his images invite the eye to ‘listen’ very carefully. The program shows the gradual development of the artist’s film language, based on the nature of the film image as both trace of reality and potential metaphor. 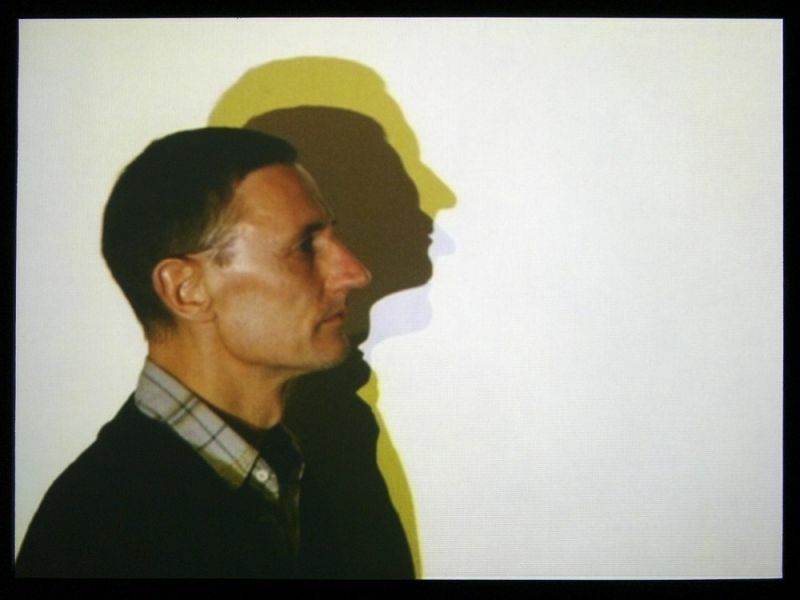 Hannes Schüpbach has been working with film, parallel to his large painting suites, since the early 1990s. Portrait Mariage turns the staging of a rite of passage into an allusively layered narrative. The film distils a sensual remembrance by the filmmaker’s intense participation and his spontaneous aesthetic choices. Toccata develops the ‘touch of the place’ through a direct encounter with the seemingly familiar elements of a house and city. The image recreates an inner experience by the use of a wide range of stylised movements and colourings. “Il tocco means not only touch; it can also mean a small quantity, a single brush stroke in painting, the striking of a bell or piano keys.” Toccata was screened at the 2002 New York Film Festival’s ‘Views from the Avant-Garde’. 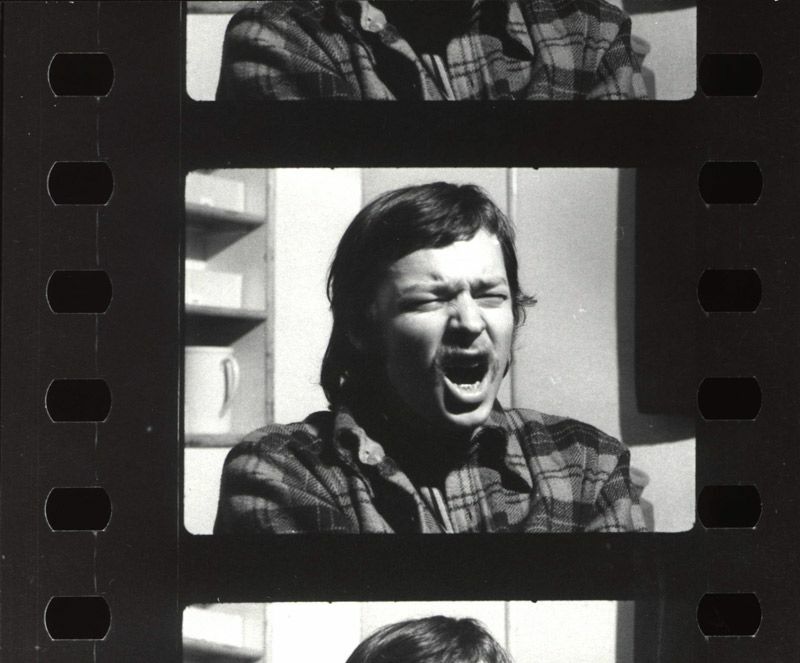 The first ever UK solo screening for this established Swiss artist, who will present a selection of his films from 1971 to present. Mutzenbecher began painting in 1958 and filmmaking in 1968, and has exhibited regularly in Switzerland and Europe. Apparently mundane actions and objects are the focus of his films, which blur the boundaries between materiality, portraiture and performance. The early works are more performative, while later films take a diaristic, personal approach to create impressions of Mutzenbecher’s immediate environment, using those characteristics unique to the medium. About ten years after the beginning of my painting career I realised my first film and I also began to write. Since these days, I continue painting, filmmaking and writing with more or less intensity. To be able to speak different languages opened to me a larger spectrum of expression. I like the complexity and the possibilities inside the film and I am still curious to see what I can do by myself with a camera.